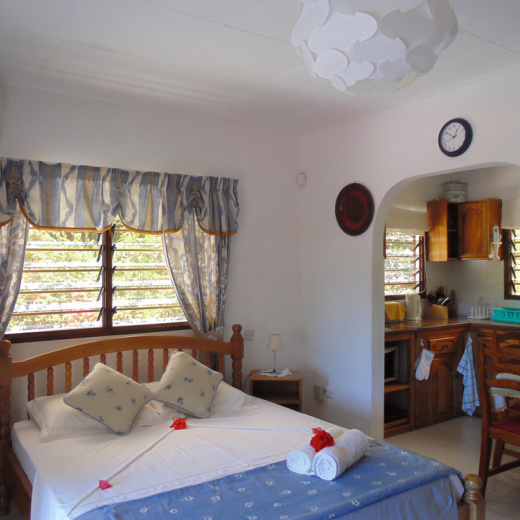 The apartment is fully furnished and equipped with mosquito net and air condition. It's located close to every where: Victoria the capital of the Seychelles, the central hospital, the Botanical Garden, the International Airport, the Sport Complex with the international swimming pool and to the Industrial zone. 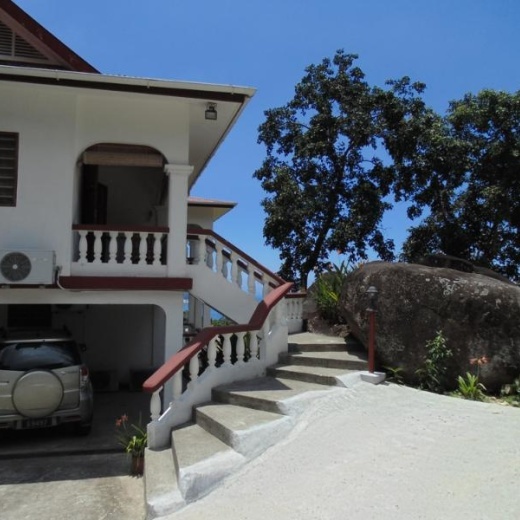 Armony Residence lies in the centre of Mahe on a cool mountain side overlooking the ocean view and adjacent islands. Being located in the centre of Mahe gives the opportunity to access several beaches in a space of 20 minutes drives either by car or by bus. Only 2 minutes walk will take you to the main road of La Misere to the bus stop and to the well known “Panoramic View Point”. The “Panoramic View Point” enables the visitors to contemplate and enjoy the view on the port and several islands. It is becoming like a place to socialize as well, especially when the day cools down.